Sun-Dried Tomato & Garlic Stir-in Sauce. 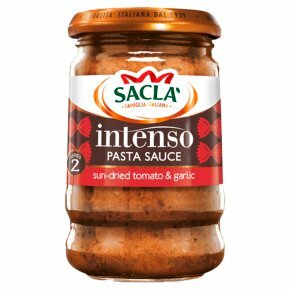 Our Italian family has been making Pesto & Pasta Sauce for generations and this is a delightfully authentic Italian Tomato & Garlic Intenso sauce for your pasta. A profusion of Italian sun-dried tomatoes and a generous fistful of fresh garlic create a deceptively simple but intense sauce that's so rich but so easy to simply stir-in in to pasta. Suitable for vegans.